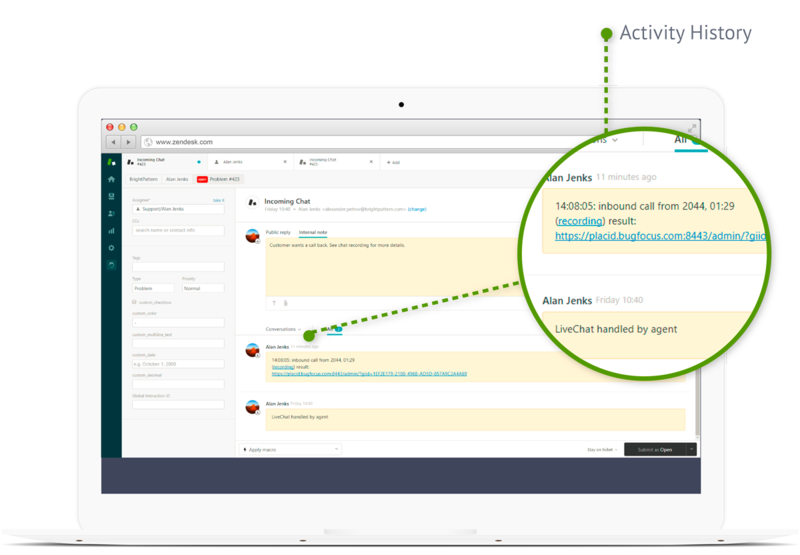 Zendesk data is right where you need it, thanks to our powerful scenario engine and integrated chat bots. Scenarios are what define the logic of how interactions are processed and automated. 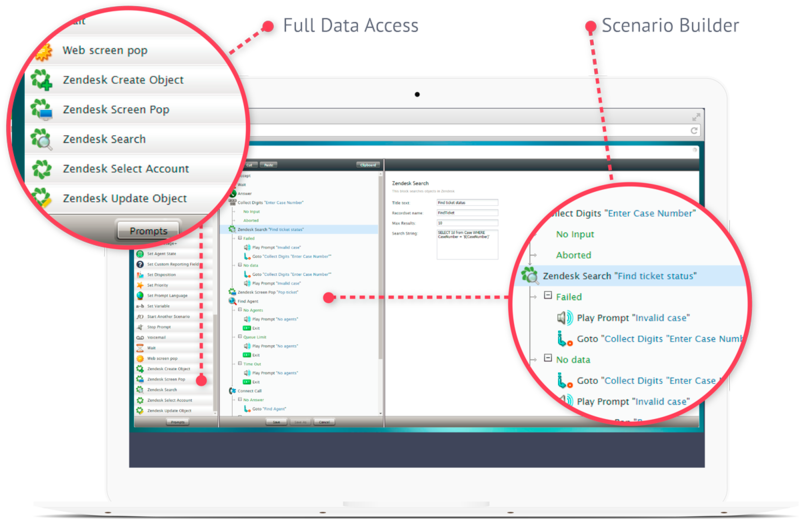 In our intuitive Scenario Builder application, system administrators can quickly build intricate workflows with drag-and-drop ease. Using scenarios, you can tap into the Zendesk database to get accurate identification, self-service options, and automated services. 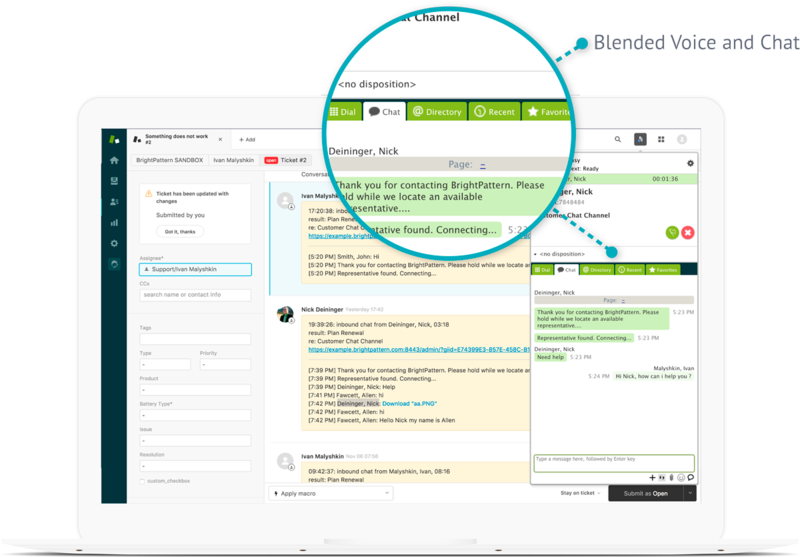 Our integrated Agent Desktop helps agents stay on track when working on multiple chats simultaneously. To eliminate agent confusion when switching between chats, the Agent Desktop remembers where you left off in a conversation, placing your most recent ticket in prominent view at the top of the screen. When viewing tickets, agents also see all the activity history associated with a contact. Having all information front and center helps agents to work on interactions in context, learn more about a contact’s previous issues or conversations, all while on a chat or call. 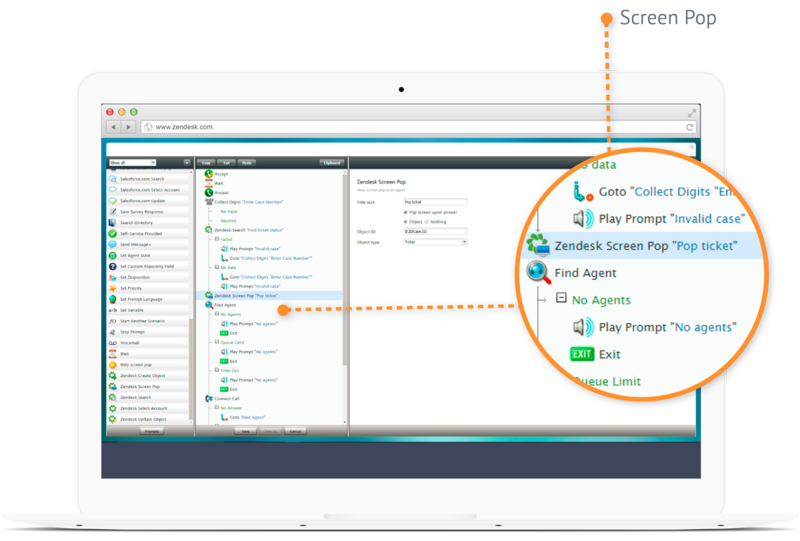 Our contact center solution uses a powerful Scenario Builder application to utilize Zendesk data in intricate workflows called scenarios, which automate the processing of screen pops, data search, and more. Scenarios are programmed to “pop” Zendesk data, tickets, or contact details to an agent’s screen when an interaction with a customer begins. Screen pop helps agents to view useful information about tickets and contacts in their context. If this is not the first time connecting to a contact, agents can also scroll through the activity history of the contact, learning more about the contact’s previous questions and conversation subjects.